Uniworld Boutique River Cruises christened the Queen Isabel, its newest river ship on Portugal’s Douro River on March 22. Andie MacDowell, the Hollywood actress, L’Oreal spokesmodel and philanthropist, named the ship in Porto at a ceremony that also included singer Michael Bolton, who performed at the event, as well as European and local Portuguese dignitaries. Wesley Bosnic, Uniworld’s senior vice president of strategic development, and Christine Sustreanu, Uniworld’s managing director of operations, attended the ceremony as well as the black-tie event, which was organized by Douro Azul, Uniworld’s long-term partner in Portugal. 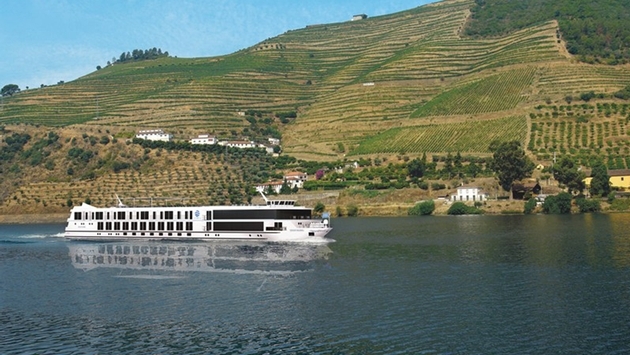 The longstanding relationship with Douro Azul and Uniworld’s reputation in the region has allowed the cruise line to always have the best and newest ships sailing on the Douro. The new Queen Isabel continues this tradition of excellence and leadership. Against the backdrop of lights from Porto’s skyline, Mario Ferreira, CEO of Douro Azul, opened the ceremony in front of over 300 invited guests by welcoming them to Portugal for the christening of two of their new ships. Ferreira spoke about the UNESCO World Heritage Douro River Valley, a beautiful but largely undiscovered region of Portugal, and the 20th anniversary of Douro Azul. The inaugural celebration continued with a blessing of the ships, before MacDowell was introduced as the godmother to the new Queen Isabel. Carrying on the tradition of the customary smashing of a Champagne bottle, MacDowell shared how she loved Portugal and was deeply honored to christen the Queen Isabel. The 118-passenger Queen Isabel begins her maiden voyage on March 28 with a sold-out ship. Onboard Uniworld features 18 junior suites at 215 square feet and two bigger suites at 323 square feet on the top deck that feature full balconies, as well as staterooms on the mid-deck that feature French balconies. 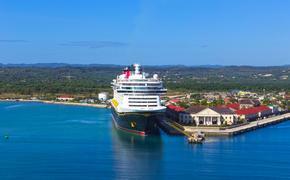 Staterooms and suites are furnished with modern comforts and conveniences, such as a flat-screen television and Internet, and marble bathrooms stocked with robes, slippers, and L'Occitane bath and body products. Public areas include a lounge with full-service bar, an outside bar, restaurant with an outside al fresco area, sun deck with heated swimming pool, and fitness and spa area. In both the lounge and restaurant, panoramic windows provide guests with views of the Douro’s vineyard-clad hills and landscapes.